MABAS Division 3 is a partnership of 17 north/northwest suburban fire departments and the Regional Emergency Dispatch (RED) Center organized to provide mutual aid, specialized response, unique resources, and combined training. What is MABAS Division 3? MABAS Division 3 includes the north shore communities bounded by Highland Park on the north, Evanston and Skokie on the south, Des Plaines and Prospect Heights on the west, and Lake Michigan on the East. 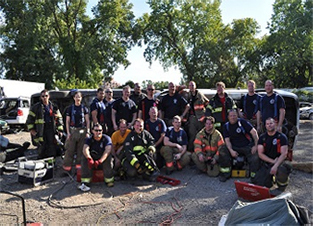 The MABAS system allows departments to serve citizens in ways far beyond MABAS’s original intent of simply assisting neighboring fire departments. 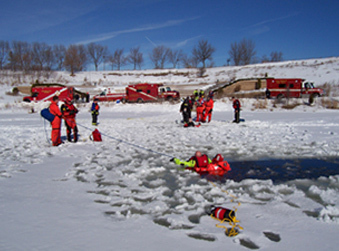 MABAS Division 3 agencies also shares collaborate to provide cost-effective specialized teams for hazardous material spill control,; underwater rescue and recovery; and specialized cave-in, or high-angle, trench, and collapse rescues; incident communications, and fire investigations.